Did you know that we recycle 90% of the waste tree cuttings that we collect from jobs? Here at JJ&B Treecare Ltd, we pride ourselves on keeping our carbon footprint as low as possible by recycling our clients waste tree cuttings, in order to help the environment. In return, this helps YOU to lower your carbon footprint! 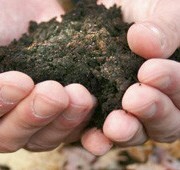 We use a local waste company that turns the waste tree cuttings into mulch or compost, ready to be used again. 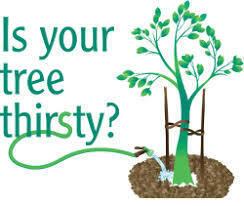 Send us an email or call JJ&B Treecare today! 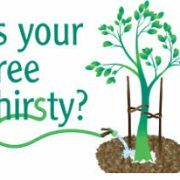 Guidance to watering your bushes and trees. It has been quite some time now that we have seen rain especially in the south-east and Kent. Commonly we take care of our plants and grass especially in this heat. Watering once the sun goes down and it gets cooler. 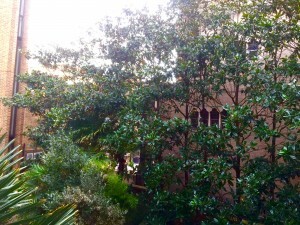 Bushes and trees need the same attention and care too. In the evening when setting your sprinklers for your grass just fill up a bucket and water the roots of your trees and hedges to help them survive the mini heat wave that Britain is seeing this year. Or why not do your bit for the environment and even recycle water by filling up a bucket from your bath water once you have finished, it will work just the same. 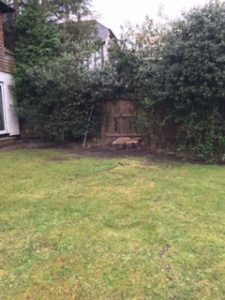 We have sadly seen a lot of greenery die off over this summer and would like to guide you on how to prevent this from happening in your garden. 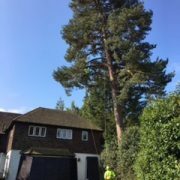 If you are concerned for your bushes or trees and would like a free health check please don’t hesitate we are just a email or a phone call away on 07966 265 373. 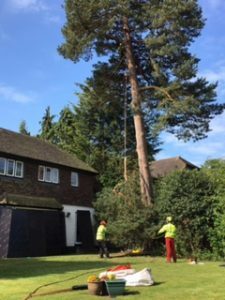 Unfortunately, this Pine Tree located in Keston Park, Bromley, had to be removed by JJ&B Treecare Ltd, due to the tree being deemed unsafe. 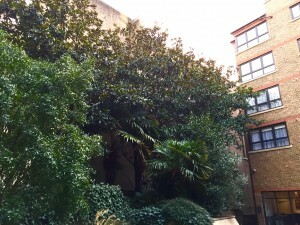 The tree was also in a Conservation Area and held a Tree Preservation Order. 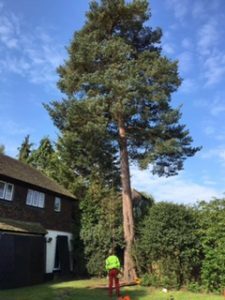 We carried out a full Arboricultural Survey Report on this tree, including a Picus Test. 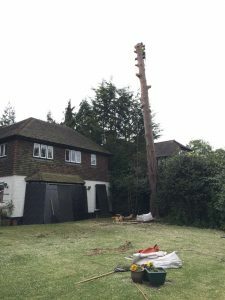 From these results, we discovered that the tree was a health and safety hazard and would need to be removed. 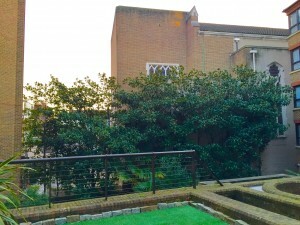 We applied to the local council on behalf of our client with our findings and conclusions, who then granted us permission for the tree to be removed. 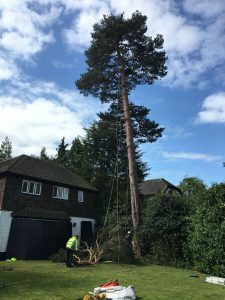 The job itself took a couple of days to remove, as it was extremely large and we needed to ensure the safety of our staff and the clients property. 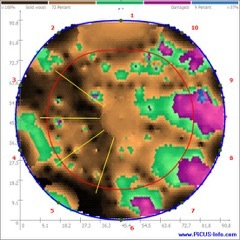 You can see from the images that it was located very close to their house. 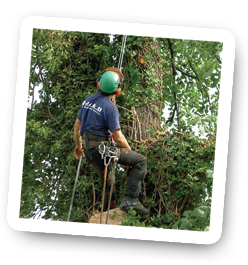 If you are concerned regarding your trees safety, please get in touch with JJ&B Treecare. 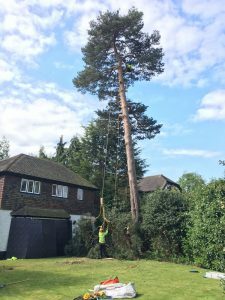 We can advise you on the best course of action and provide you with an Arboricultural Survey*. With our FREE HEALTH CHECK we can diagnose any problem or issue for you and advise on the best course of action! *Terms & Conditions apply, please contact us for more information. 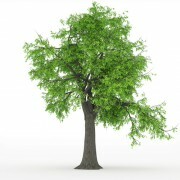 The ash tree is likely to be wiped out in Europe, according to a review of the evidence. The trees are being killed off by the fungal disease ash-dieback along with an invasive beetle called the emerald ash borer. According to the research, published in the Journal of Ecology, the British countryside will never look the same again. The paper says that the ash will most likely be “eliminated” in Europe. This could mirror the way Dutch elm disease largely wiped out the elm in the 1980s. Ash trees are a key part of the treescape of Britain. You don’t have to go to the countryside to see them. In and around towns and cities there are 2.2 million. In woodland, only the oak is more common. For more information on this problem, head to the BBC News website. 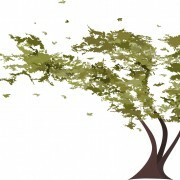 If you are concerned for your Ash Trees, please get in touch with JJ&B Treecare. 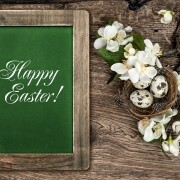 Happy Easter from JJ&B Treecare! The flowers are coming into bloom, it’s getting a little bit warmer, and Easter is just a couple of days away! We would like to wish you all a very Happy Easter break! 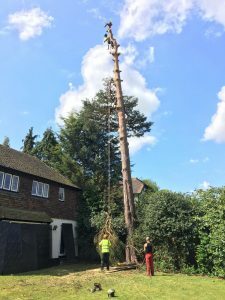 And you can rest easy knowing that if you have any tree emergencies, JJ&B Treecare Ltd are only a phone call away this bank holiday! Get in touch if you need us! 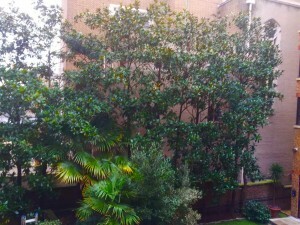 https://www.jjandbtreecare.co.uk/wp-content/uploads/Depositphotos_42140309_m-2015.jpg 681 1000 Cloe Smith https://www.jjandbtreecare.co.uk/wp-content/uploads/jjb-logo2.png Cloe Smith2016-03-23 15:21:582016-03-23 15:21:58Happy Easter from JJ&B Treecare! Fossil of the oldest Pine Tree discovered! Whilst checking the news today, we came across an interesting story on the BBC news website. Scientists have discovered the fossil of the oldest Pine Tree yet known, dating back to 140 million years! For a great read, check out the link to the website! 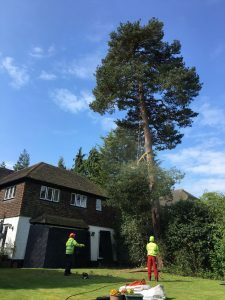 If you want to care for your Pine Tree, which most likely, isn’t 140 million years old, please get in touch with us at JJ&B Treecare Ltd, where we can provide you with a competitive quote and professional, reliable service! 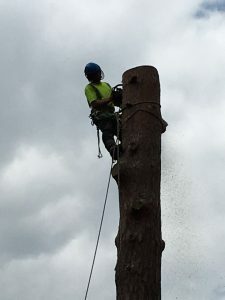 https://www.jjandbtreecare.co.uk/wp-content/uploads/Depositphotos_17567711_s-2015.jpg 500 500 Cloe Smith https://www.jjandbtreecare.co.uk/wp-content/uploads/jjb-logo2.png Cloe Smith2016-03-10 14:29:232016-03-10 14:29:23Fossil of the oldest Pine Tree discovered! 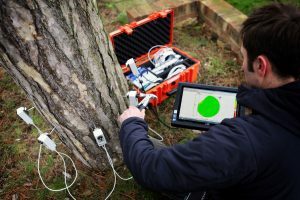 European Tree of the Year Competition! 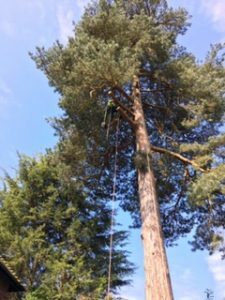 We love looking after our trees at JJ&B Treecare Ltd, and we love to give credit to amazing trees also! 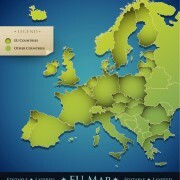 Why not make part in the European Tree of the Year Competition?! There were four UK entries, along with others from the EU. Our UK finalist is the Cubbington Pear Tree in Warwickshire. It’s quick and easy to do and takes no time at all. 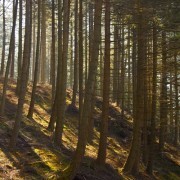 For more information, visit The Woodland Trust! When you’ve placed your vote, drop us a Tweet and let us know! We have placed our vote, time to place yours! Care for your garden now, so that it is ready for Spring to begin! FREE HEALTH CHECK and we can advise you on the best course of action! 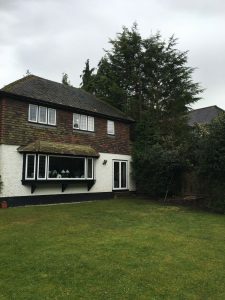 https://www.jjandbtreecare.co.uk/wp-content/uploads/Depositphotos_7793720_s-2015.jpg 500 460 Cloe Smith https://www.jjandbtreecare.co.uk/wp-content/uploads/jjb-logo2.png Cloe Smith2016-02-17 16:31:412016-02-17 16:31:41European Tree of the Year Competition! 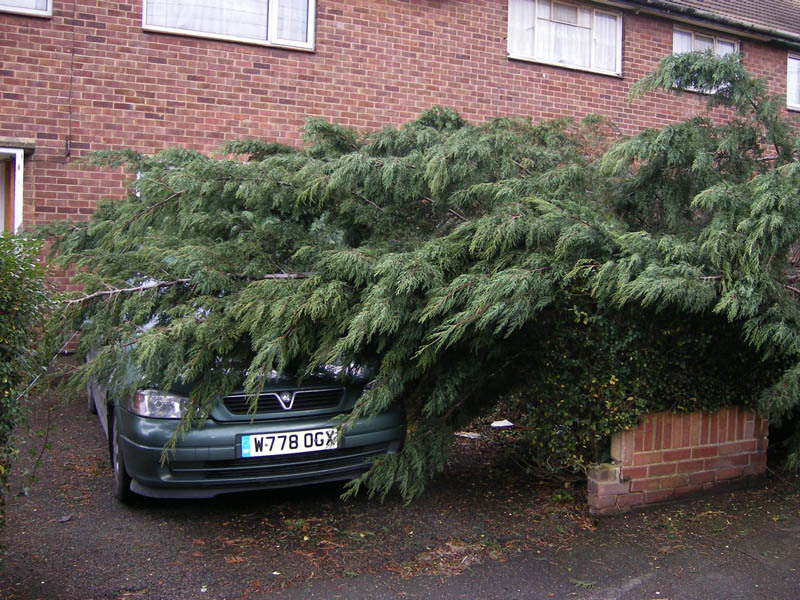 Storm Imogen – Weather Warnings – Emergency Tree Care! We have been keeping an eye on the weather forecast for the South East, London and Kent. The South East have received yellow and amber weather warnings from the Met Office, for heavy winds caused by Storm Imogen. Please be aware of the extremely heavy winds. Heavy winds have been known to pull out branches and large parts of tree crowns, and even uprooting trees in extreme cases. If you are in need of an emergency call out, please do not approach the tree yourself, for health and safety reasons. 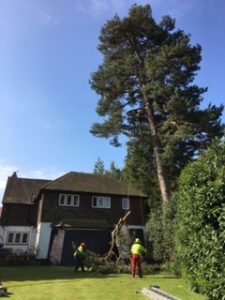 Please call us immediately and we will come and assess the damage / remove the tree in the safest and quickest possible way. 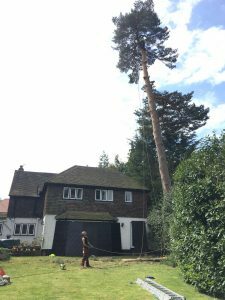 Do you need emergency Tree Care against Storm Imogen? 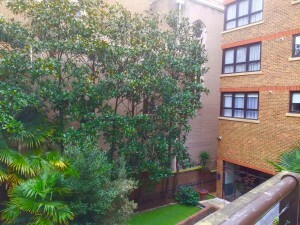 https://www.jjandbtreecare.co.uk/wp-content/uploads/Depositphotos_49927541_m-2015.jpg 728 999 Cloe Smith https://www.jjandbtreecare.co.uk/wp-content/uploads/jjb-logo2.png Cloe Smith2016-02-08 13:53:552016-02-08 13:53:55Storm Imogen - Weather Warnings - Emergency Tree Care! 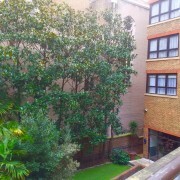 We were working in London yesterday on a beautiful row and superb species of Magnolia Grandiflora! There were twelve of these amazing trees in total, forming a Hedgerow. All specimens had lots of decayed wood and rubbing and crossing branches throughout. To the clients delight, we removed all of the deadwood, decayed wood, rubbing and crossing branches. 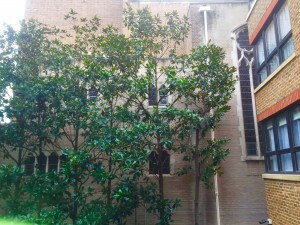 The end result is something that JJ&B Treecare are very proud of, as is our client. As you can see from the images, our tree care work has given these trees the space they need and will allow more light to reach the leaves. 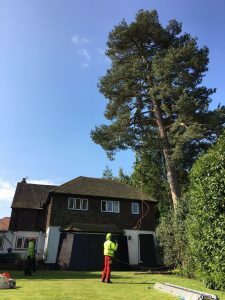 If you require tree care works, no matter how big or small, care for your garden now, so that it is ready for Spring to begin! The Oriental Chestnut Gall Wasp has been found in Farningham Woods, near Swanley in Kent. This pest’s larvae causes unusual green or rose coloured growths (or galls) to form on sweet chestnut leaves. These galls weaken the trees and make them susceptible to diseases. They can also affect nut and timber production! Although these Oriental Chestnut Gall Wasps are harmful to your trees, they are no risk to people or animals! They do not bite or sting! Also, they only affect the Sweet Chestnut Trees (Castanea family), and do not affect Horse Chestnut Trees (Aesculus family). 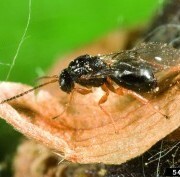 The Forestry Commission has been working with the government to assess the extent of the outbreak as quickly as possible, and to fell the most affected trees in the woods before the adult wasps emerge to lay eggs and spread the outbreak further afield. Don’t worry though, all trees felled will quickly regrow from the stumps! CHECK that they are definitely Sweet Chestnut Trees, or give JJ&B Treecare a call and we can come and identify the tree for you!